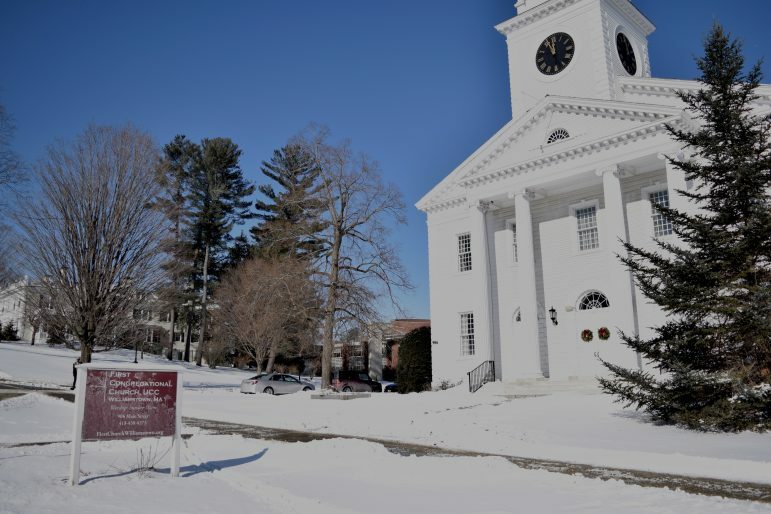 On Jan. 27, as the wind whips snow into the air on a brisk morning in Williamstown, towngoers hurry in to seek refuge in First Congregational Church (FCC), a building that, with its classic white exterior and steeple, blends perfectly into the picturesque New England landscape. But inside, activities on that Sunday morning diverged from the scene one might typically expect of a congregational-style church. Before singing routine hymns, members of the Outreach Ministry Team updated the church members with a brief status report on their immigrant justice work. Immediately after the service, the congregation began a panel on English as a second language services in the area. For the passersby merely visiting FCC, the morning offered not only an opportunity to connect with God but also to peer into FCC’s immigrant justice work, which has invigorated the church’s outreach ministry. On Jan. 29, the Outreach Ministry Team recommended that the church move toward a “Level 2” sanctuary commitment; if approved through a congregation-wide vote, FCC in a Level 2 capacity would help Level 1 congregations – which can house immigrants themselves – with a wide variety of tasks, including arranging transportation, meals or security needs of an immigrant. It is the most recent development in what is now a year-long discernment process around becoming a sanctuary congregation for immigrants at risk of deportation who may, with time, have strong cases for positive outcomes. Phil Smith, one of nine members of the Outreach Team, voted with the majority to not pursue sanctuary status for FCC itself. “I had very strong concerns about the time and personnel that such a status would demand,” Smith said. Though it opted not to pursue Level 1 status, FCC is still committed to continuing immigrant justice work. They church is working with three different immigrant families locally, collaborating with the Berkshire Immigrant Center on various projects, hosting fundraising dinners and coordinating with other congregations on similar causes. FCC even enlisted CLiA’s help in organizing a Winter Study opportunity through the course “Fieldwork in Public Affairs and Private Non-Profits,” in which Soha Sanchorawala ’19 and Emily Elder ’20 conducted research to contribute to the discernment process. That process, which community organizer Bridget Spann described as an effort “to educate members about the needs of immigrants and the idea of sanctuary as a faith-based response to broken immigration system,” was critical in informing the vote. The process has been extensive because, as Spann and others noted, there are many considerations to undertake in determining what course of action is most suitable for FCC. Longhurst and Spann agreed that it would be in the congregation’s best interest to have a long and extensive deliberation process to ensure that all members are drawn into the decision-making process and to also realistically consider FCC’s capacities. This is just one of the many circumstances in which FCC has chosen to actively engage in social justice work in its past and present. The church has historically helped numerous immigrants in the past, and the Outreach Ministry Team, along with continuing immigrant justice work, also prioritizes efforts to support the jobless, the homeless and those facing food security. While some churches might shy away from the prospect of inserting themselves into inherently political topics, Longhurst and FCC have embraced this faith-based social justice work precisely because they view such efforts as part of living out their Christian faith. In a four-week sermon series titled “Welcoming the Stranger” that Longhurst gave in September, he outlined the ways in which Jesus’ ministry has informed how church communities should extend welcome to people of all backgrounds: the stranger, the disadvantaged and the homeless. “I believe it is our duty as people of faith to stand up for individuals who are being unfairly targeted by the current administration,” O’Connor said. FCC is not the only congregation who is currently considering joining the Sanctuary Movement. In fact, FCC is just one of 10 churches working with Berkshire Interfaith Organizing (BIO) to establish a sanctuary network in the Berkshires. According to BIO community organizer Jeff Lowenstein, President Donald Trump’s immigration policy has made the stakes higher for immigrant justice initiatives, especially in the Northeast. While ICE guidelines called for the detainment of people with criminal records during the Obama administration, Lowenstein noted that they rely more heavily on individual discretion in terms of who they decide to go after under Trump’s leadership. “We really wanted to start this [organizing] process while we had some time, before deportations started ramping up,” he said. But ICE enforcement has already picked up western Massachusetts: a Lenox resident is facing deportation to Colombia, and an Albanian immigrant was recently arrested in Great Barrington. Increased ICE activity is what makes sanctuary involvement crucial to immigrant justice work. In an internal ICE memo released in 2011, houses of worship were deemed “sensitive locations,” thereby dictating that agents will not enter such spaces unless extreme circumstances require it. “As one lawyer put it, ‘ICE is not gonna want to tangle with church ladies,’” Lowenstein said.